It was 6.15 am on a fine, bright, May morning in 1915 when signalman Meakin diverted the 4.50am pick-up goods from Carlisle into the down loop. His nightshift had officially finished in the Quintinshill signal box on the west coast main line just north of Gretna at 6 o'clock. It had been a fairly busy night, as was the norm at this particular location, but relatively uneventful nonetheless. He was now looking forward to getting home and catching up on some well earned sleep. The reason Meakin was still working rather than already heading home would have been frowned upon by his masters on the Caledonian had they been aware of the situation. They would also have been unhappy that he had, since officially finishing his shift at 6 o'clock, been writing train movement details onto a loose sheet of paper rather than the official train register. 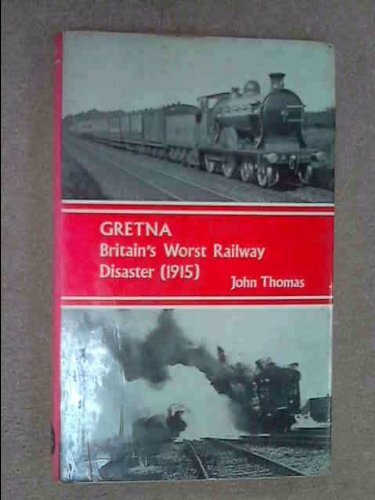 These actions were all part of a 'special arrangement' Meakin had made with his colleague James Tinsley, the day shift signalman who lived in Gretna, a few miles to the south. The arrangement was that, on occasions when the morning northbound local train was due to be stopped at Quintinshill, Tinsley would use it to ride up from Gretna. This meant that he would arrive at the box to relieve Meakin at around 6.30 am, some 30 minutes after the official shift changeover time. In order to cover up his late arrival Meakin would enter all train movements after 6 o'clock onto a separate piece of paper, which Tinsley would copy into the train register in his own handwriting on arrival, thus making it appear to anyone subsequently checking the register that he had arrived for duty at the correct time. On this particular morning two northbound expresses, which had left Euston just before midnight the previous evening, were reported running approximately 30 minutes late south of Carlisle. It had therefore been decided to send the local train north as far as Quintinshill where it would be held to allow the expresses to pass. As was usual in this situation signalman Tinsley joined the local at Gretna for the ride north to Quintinshill box to start his shift. 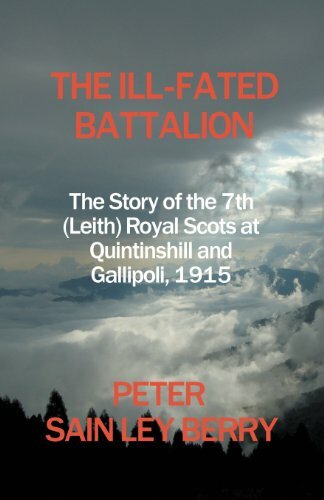 Earlier that morning, approximately one hundred miles to the north, a troop train had left Larbert, conveying officers and men of the Royal Scots (7th Leith Territorial battalion). This train was destined for Liverpool, where the troops would be joining a ship bound for Gallipoli and the front line. When the local, conveying Tinsley, arrived at Quintinshill, the down loop was already occupied by the 4.50am goods from Carlisle. Signalman Meakin therefore decided to temporarily switch the train over to the up main line to allow the expresses to pass. This crossing manoeuvre was duly carried out and the local train was brought to a halt standing on the up main line some 60 yards from the signal box. At this stage, given the up line was now blocked, Meakin should have placed lever collars over his 'up main' signal levers to protect the local. Just prior to the arrival of the local, Meakin had accepted a southbound train of coal empties from Kirkpatrick, the next box north from Quintinshill. However, on offering it forward to Gretna, he had been advised that Carlisle Kingmoor would not be able to take it for some time and it was therefore decided to hold this train in the up Quintinshill loop in the meantime. The time was now 6.34am and, by now, there were 3 trains standing at Quintinshill, a goods in each of the loops and the down local passenger train standing on the up main line. It was at this point, just as signalman Tinsley entered the box, that Meakin received a message that a 'special' (the Larbert - Liverpool troop train) had passed south through Lockerbie at 6.32am. Immediately after this he was offered, and accepted, the first of the northbound overnight expresses from Gretna Junction. Tinsley then handed Meakin the morning newspaper he had brought with him and took Meakin's train movement notes which he proceeded to copy into the train register. Meakin settled down in a chair with the newspaper, at the same time chatting with the guards of the 2 goods trains who had now joined them in the box. * Essentially Rule 55 required that, where a train was brought to a halt at a signal then, within 3 minutes in clear weather or immediately in rain, snow or fog, the driver must send a member of the train crew to the signal box. The function of this designated member of the train crew was to ensure that the signalman was aware of the presence of his train and that he had taken all necessary steps to protect it, including use of the appropriate signal lever collars. After carrying out these checks the member of the train crew would confirm all was in order by signing the train register. After signing the book the fireman returned to the locomotive of the local without confirming that collars had been placed over the signal levers controlling the up main line and thus protecting his train. There are conflicting versions of precisely what happened next. After the coal empties had been diverted into the up loop either Meakin or Tinsley sent 'train out of section' to Kirkpatrick, thus clearing the Kirkpatrick - Quintinshill section of the up main line and totally ignoring the fact that this line was occupied by the local passenger train. At 6.38am signalman Tinsley pulled off the down main line signals for the first of the overnight expresses from the south and sent 'train entering section' to Kirkpatrick. At 6.42am he accepted the up troop train from Kirkpatrick and offered it forward to Gretna Junction where it was also accepted. He then pulled off all his up main line signals. At 6.44 am the troop train, consisting of 15 old Great Central coaches behind a 4-coupled express locomotive, travelling at speed on a falling gradient, met the locomotive of the local train in a violent head-on collision. 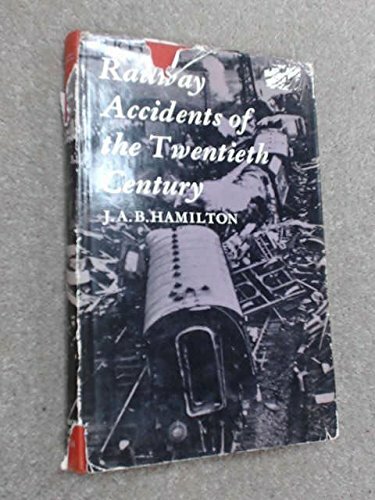 Descriptions of the effects of this collision are many and varied, but perhaps the most telling and simple fact is that the crowded troop train, whose overall length was 213 yards, was, in a very few seconds, compressed to a length of 67 yards. So violent was the collision that several of the old GC coaches of the troop train, all of which had wooden underframes, simply ceased to exist. The locomotive of the troop train came to rest lying on its side across both main lines. Hardly had the roar of the collision faded when Meakin, realising what had happened, rushed to his levers controlling the down main line signals which had been pulled off some 5 minutes earlier clearing the way for the first of the expresses from the south. By this time, a small group, led by the guard of the local, realising the same imminent danger, had already started running back along the line towards Gretna in an attempt to warn the approaching express. The northbound express consisted of 13 bogie coaches of mixed LNWR and West Coast Joint Stock, including 3 sleeping cars. It was double - headed by a pair of 4-coupled express locomotives and had an overall weight in excess of 600 tons. The crews had been working hard to make up lost time on the run north from Carlisle and, with both locomotives steaming freely, the train was travelling at speed under clear signals. Once he saw the guard of the local running along the line towards him waving frantically the driver of the leading locomotive of the express immediately shut off steam and made a full emergency brake application. At this point, the speeding express was less than 300 yards from the wreckage. The locomotives of the express ploughed through the remains of the troop train, striking the tender of the locomotive which was lying across the down line and driving it forward through the wreckage, killing many of the survivors of the initial collision, including those engaged in attempting to extricate injured comrades. Serious telescoping occurred on the leading coaches of the express before derailment of the two locomotives eventually brought the train to a halt. The old GC coaches of the troop train were all gas lit and the gas cylinders had been fully charged before leaving Larbert. This gas, now escaping at high pressure from various fractured pipes, was ignited by hot coals from the locomotives, with the result that the mountain of wreckage now covering all four lines at Quintinshill was quickly turned into a raging inferno. Futile attempts were made to tackle the blaze using extinguishers and water from the locomotive tenders until the arrival of the Carlisle fire brigade some time later. Despite all efforts to control the fire, it raged throughout that day and most of the following night. 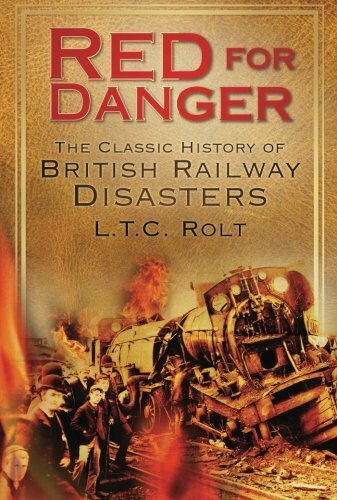 When the fire brigade was stood down at 9 o'clock the next morning most of the wreckage had been consumed by the fire, including all 15 coaches of the troop train and 4 of the coaches of the express. Amongst the passengers on the local train there were 2 fatalities, whilst on the express there were 10 passengers killed and 54 injured. The final toll for the troop train was never accurately established, given that the regimental roll of the Royal Scots and all related documentation was destroyed in the fire. What is known is that, of the 500+ men on the train, 52 were fit to attend a roll - call at 9.30am the following morning. The official estimate of Royal Scots casualties was eventually put at 215 dead and 246 injured. 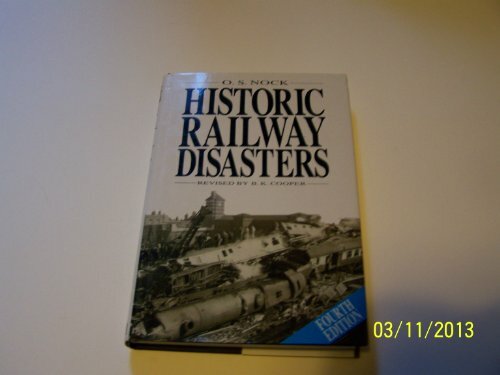 Both Meakin and Tinsley were subsequently tried and jailed for manslaughter as a result of their part in what remains Britain's worst ever railway disaster. "Imagination can scarcely conceive what the feelings of those two unhappy men Meakin and Tinsley must have been when they watched, as from some grandstand, the frightful consequences of their carelessness taking place below. No punishment that any law could inflict could be more terrible, for the memory of the scene must have haunted them for the rest of their lives. Surely they are to be pitied rather than blamed, for have we not all been equally careless and forgetful on occasion but with no such fearful result?" 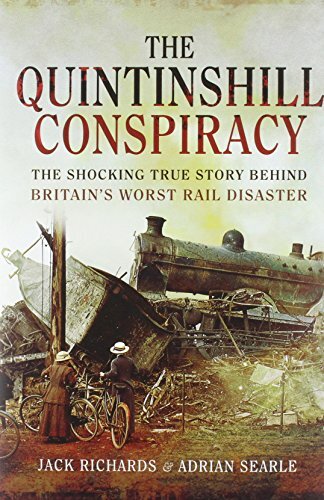 While Quintinshill remains Britain's worst ever rail disaster, by a strange coincidence, a mere 14 miles to the north, 73 years after the ill-fated troop train had passed south through the town of Lockerbie, 270 people died there in Britain's worst ever air disaster.